Communities of practice (CoP) are greatly challenged with increased multilingualism and there is a critical need to review and re-think ways in which they work. Multiple languages and multiple cultures provide new and unique contexts for community development workers trying to bring about social change. 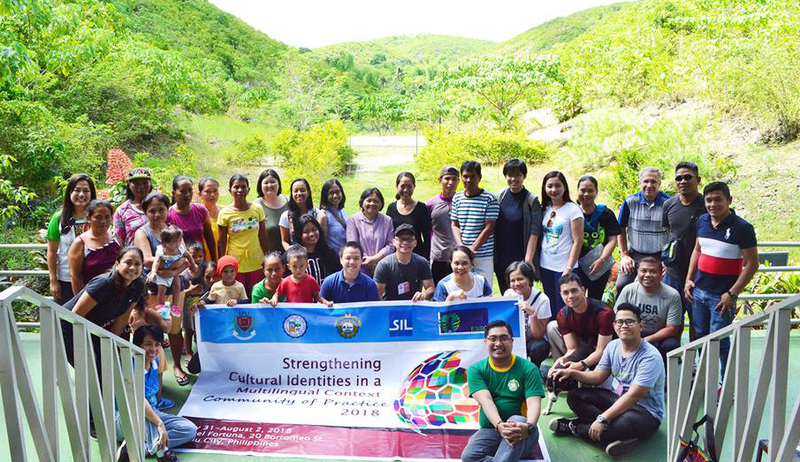 The CoP event that SIL International organized with partners in the Philippines, one of which is ESSC, had the theme Strengthening Cultural Identities in a Multilingual Context and focused on the complexities of multilingualism and urbanization in the Philippines, taking into account how these affect the education, well-being, and development of indigenous communities in the country. Amor Paredes, ESSC Youth Program Manager, facilitated the session on cultural heritage from the context of the Pulangiyen in Bendum, Bukidnon and where she shared the challenges to the traditional perception of cultural heritage as being synonymous to tangible cultural expressions. Amor shared her experience working with Hulas, a youth formative and training program for upland indigenous and migrant youth in Mindanao and where deeper reflection and understanding of cultural integrity, identity, leadership, and spirituality are integrated. Other sessions in the CoP 2018 event included orality, multilingualism, and urbanization. The last day of the event included field visits to a Badjao community school and a community in Danao where a reforestation project is implemented. Partners that organized this three-day 2018 SIL CoP event included ESSC, Ateneo de Davao University, Lyceum of the Philippines University-Manila, University of San Jose Recoletos, and SIL International and was held in Cebu City from 31 July to 2 August 2018.